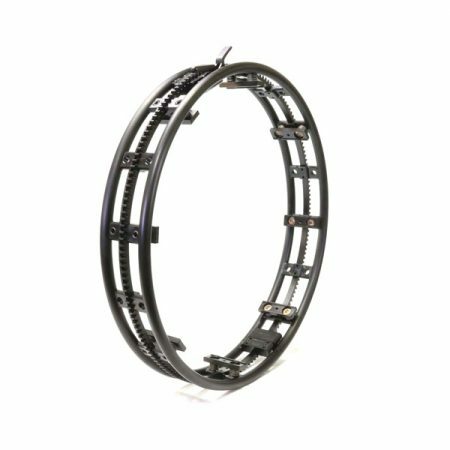 Mounted shoes on the track ring contain spring-loaded cushions to allow for work surface heat expansion to eliminate binding and ring distortion. Spring-loaded travel mechanism drives over debris in the gear system for smoother travel. Quick release travel clutch is easily disengaged for rapid track relocation of the weld head. The HELIX® T55 weld head and the patent-pending gear-driven track ring system are designed to work as a complete solution for orbital TIG welding. Designed to be lightweight and durable, the HELIX® T55 is rugged, portable, and easy to install and position on pipes. 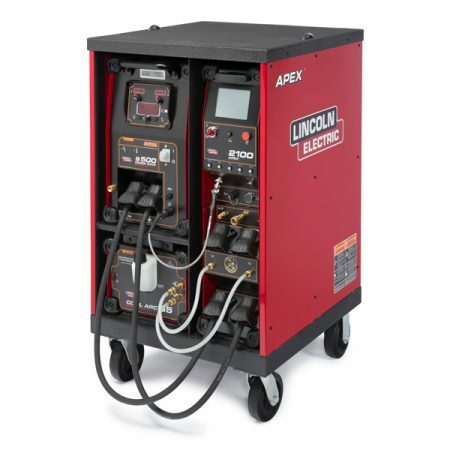 Its sleek and low-profile design allows the HELIX® T55 to weld in confined spaces. 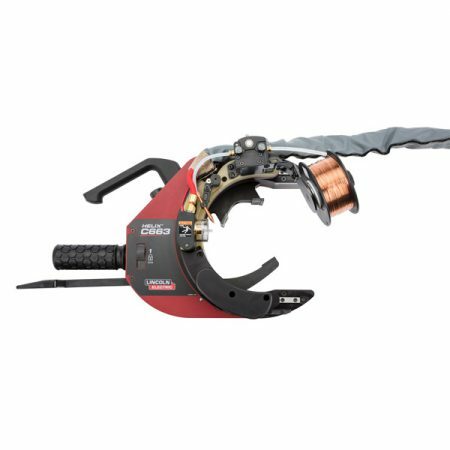 Engineered for diverse applications in demanding environments, the weld head and track ring are easy to operate, maintain and service. Lightweight construction of the weld held and tractor make for easy mounting to the track ring. One clamp knob used to secure tractor to the track ring. Wire is fed into the drive roll and out through the exit guide to the torch, in one easy step. Variety of track ring diameters and shoe extensions. Sectional track for easy transportation and storage.